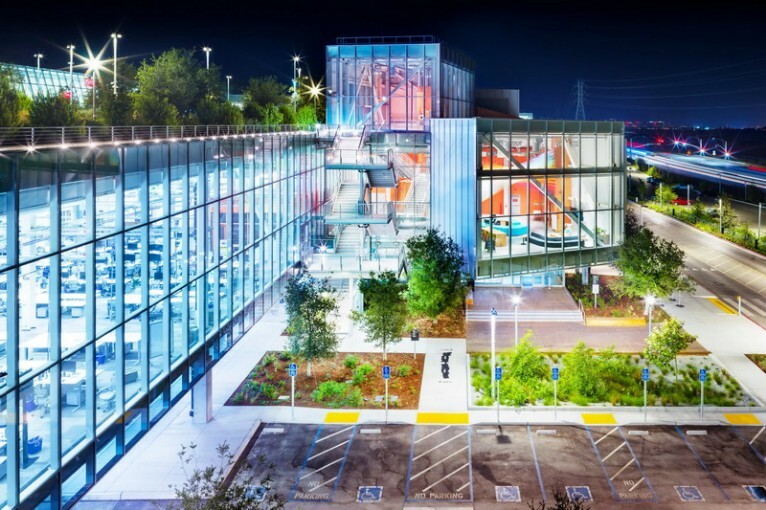 Facebook shared details about its latest completed project, a new building called MPK 21 part of the Facebook Campus Expansion. 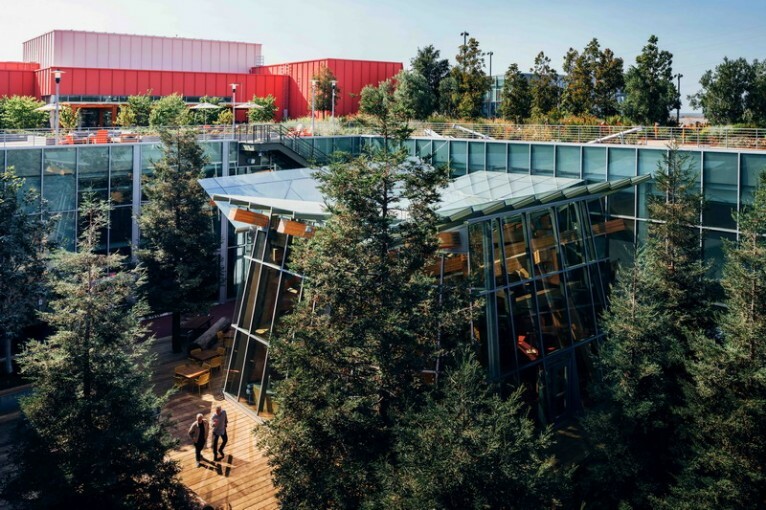 “Designed by Frank Owen Gehry and built in less than 18 months, MPK 21 is a highly sustainable building with a 3.6-acre rooftop garden featuring over 200 trees and a half-mile meandering pathway. 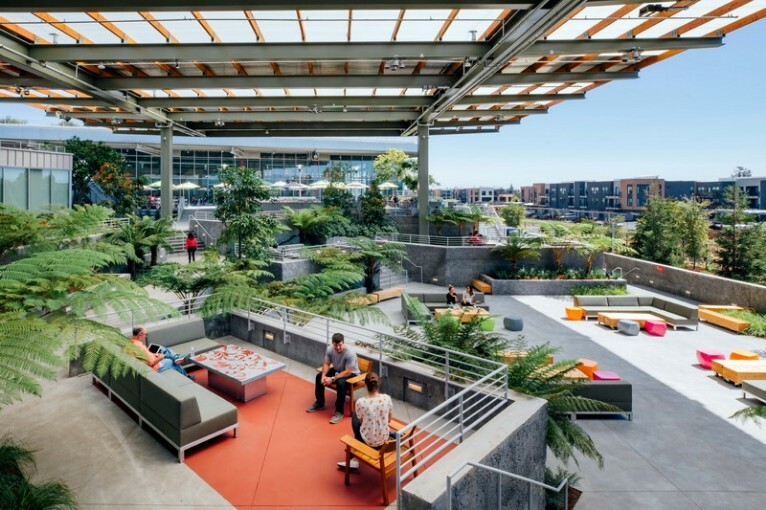 We also brought the outdoors into the office space: The Town Square is a sheltered green space with 40-foot-tall redwood trees, and The Bowl is an amphitheater-style courtyard that connects MPK 21 with another Gehry-designed building, MPK 20. We worked with our architect partner Frank Gehry on a video describing our vision for MPK 21". That's quite the 'press release'. I'd be interested in seeing if it actually flows as described. or if the experience is clunky like the disney concert hall.